How do i know you love me? When you spend hours taken away from the TV and sleep to find the best connection and miles for my trip. The family was hungry for supper. E asked "Do you want bread?" "Half a piece or a whole piece?" Me "Half piece or One piece"
"Ask nicely and say you want one piece"
Bewildered and eyes wide open "I want want one piece please"
Still havent received my birthday present this year. Seems like the LV Bag i want is stillllll out of stock, and I've stopped lusting so much after the HP2133 when I found that it is too hot to handle. Literally, as it burns your lap. ew. ouch. Seriously, on days when it is just not possible to run outside, becos it is raining, it is too dark and dangerous, you have bad hair day, you have nothing to wear, and the Elliptical trainer is just too boring. You get to choose Yoga/ Strength/ Core Balance and Aerobic by playing games, and it even tracks progresses. 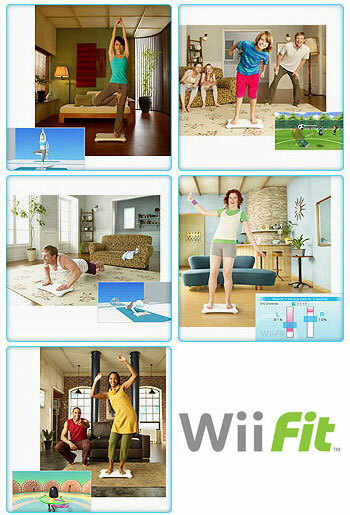 The Wii Fit with balancing board is about S$179 and it will need to work with the wii console which comes bundle with 2 games (heh heh, more games) at about $649, or bare will console at about $500 if you can get it. The only question now is, do i need to get another TV for it? Had been sharing healthy snacks with the kiddies. Kiddie J particularly liked nuts and she came to me to asked for some one day. "Mommy, may I have some lemon nuts?" I had absolutely no idea what she meant, and gave her the container with the mixed nuts.